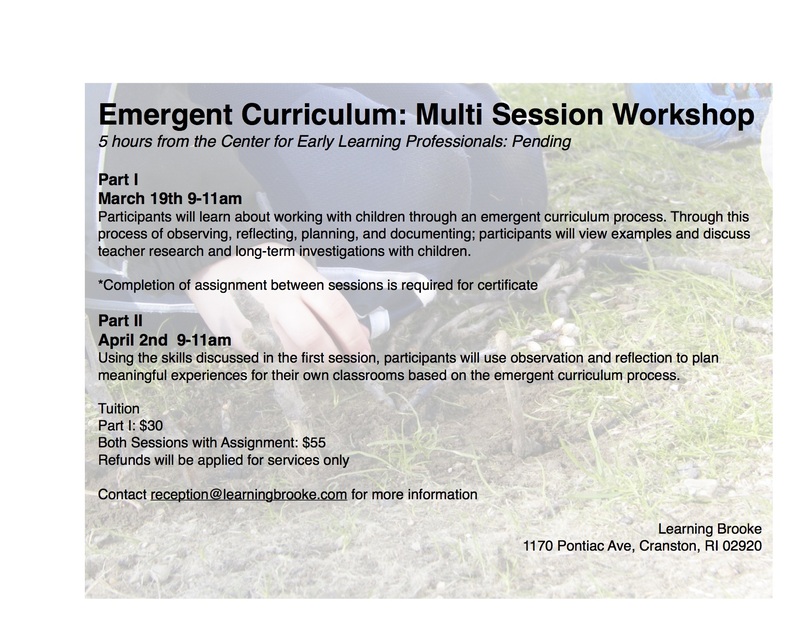 In this multi session workshop, participants will learn about working with children through an emergent curriculum process. 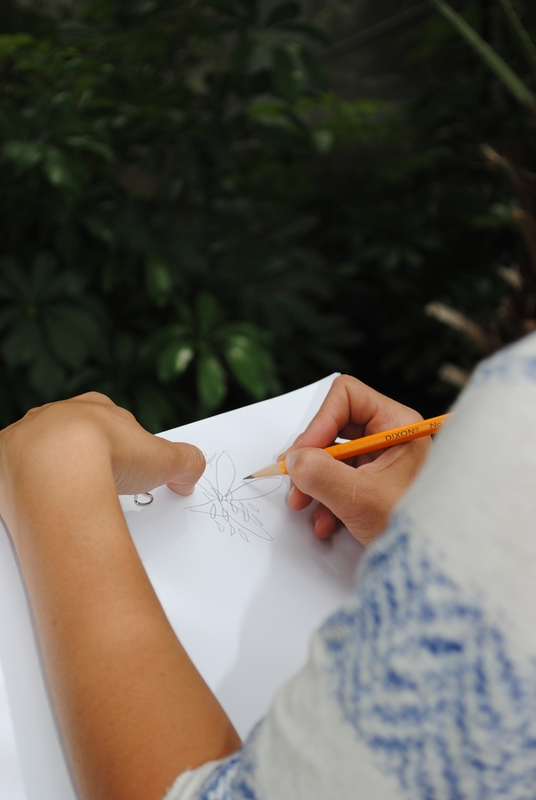 Through observation, reflection, planning, and documentation; participants will view examples and discuss teacher research and long-term investigations. Participants will use these skills in observation and reflection to plan meaningful experiences for their own classrooms. 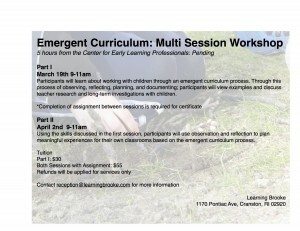 5 approved credit hours through the Center for Early Learning Professionals. 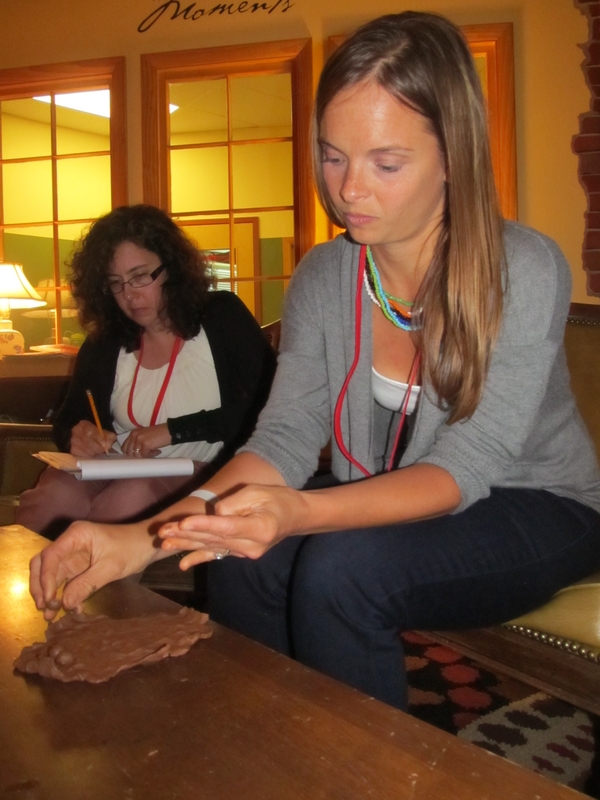 Here are pictures from some of our other professional development sessions….